Chemistry can be an extremely scoring subject if you are through with its concepts and important topics. Covering NCERT syllabus of class 11 and 12 is of prime importance in order to enhance your preparation. 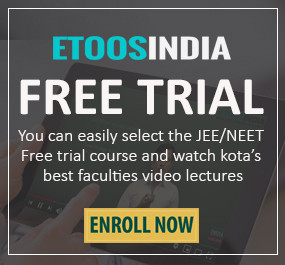 In NEET, 45 questions are asked from this subject carrying a total of 180 marks. Divided into Physical, Organic and Inorganic Chemistry, students are advised to practice physical and organic chemistry on a regular basis. Regarding inorganic chemistry NCERT is sufficient. Class11 Chemistry Important topics: Some Basic Concepts of Chemistry, Atomic Structure, Classification of elements and periodicity in properties, Thermodynamics, Equilibrium, Redox Reactions, Hydrogen, s-block elements, States of Matter, p-block elements, Chemical Bonding and Molecular Structure, Organic Chemistry-Basic Principles and Techniques, Hydrocarbons, Environmental Chemistry. 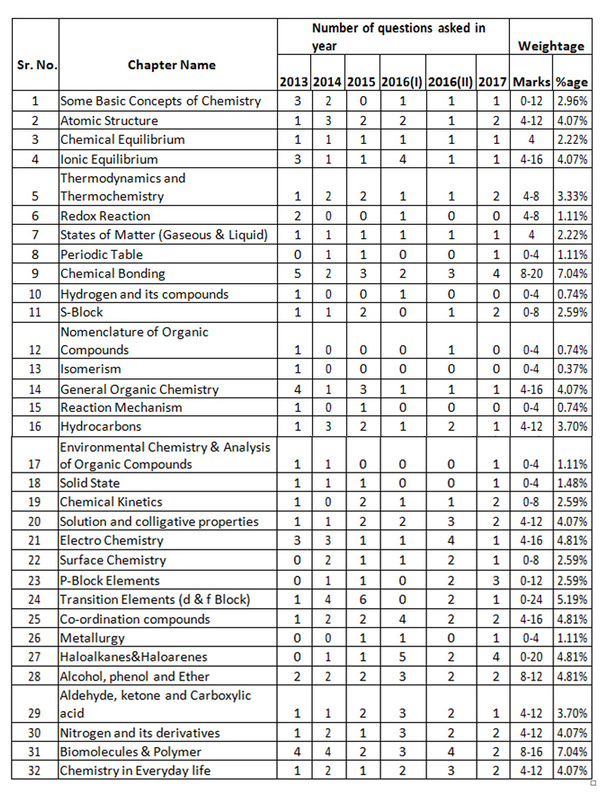 Class12 Chemistry important topics : Solid State, Solutions, General Principles & Process of Isolation of elements, Electrochemistry, p-block elements, Surface Chemistry, Chemical Kinetics, d-and f-block elements, coordination compounds, Alcohols, Phenols & Ethers, Aldehydes, Ketones & Carboxylic acids, Amines, Bio-molecules, Polymers, Haloalkanes & Haloarenes, Chemistry in Everyday Life. 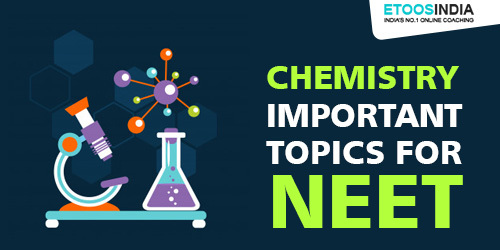 Atomic Structure, Thermodynamics & Thermochemistry, Chemical Bonding, Chemical Kinetics, p-block elements, coordination compounds, Metallurgy, Halo-Alkanes, Haloarenes, Alcohol, phenol & ether, Aldehyde, Ketone & carboxylic acid, nitrogen & its derivates are the most important chapters of Chemistry for the upcoming medical exam. Chemistry can be a really high-scoring subject for medical aspirants if they focus on laying a strong foundation from the beginning of their preparation. The syllabus of Chemistry is quite vast and it can only be completed by following a dedicated time-table. It is recommended to devote equal time to Physical, Inorganic & Organic Chemistry. Talking of Inorganic Chemistry, it needs to be practised throughout the year and not left for a month before the examination. It is also advised for students to notice the pattern of questions that are asked in previous years. The variety of questions will help you develop a problem-solving approach. All the best and drop a comment below in case of questions. 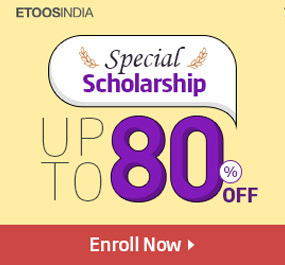 Keep following Etoosindia blog for more updates!